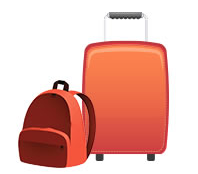 My Baggage provides student shipping and luggage delivery to and from Newcastle. If you’re moving to Newcastle to study, My Baggage can help! We’ll collect your belongings from home and deliver them quickly and safely to your halls or student flat. My Baggage is the No.1 Student Shipping Company for the University of Newcastle. We help thousands of Newcastle students by providing them with an affordable and reliable student shipping service which they can use to move their belongings back and forth at the beginning and end of every term. If you’re travelling to Newcastle by plane, My Baggage saves you money on adding an extra bag to your flight. And if you’re travelling by car, boat, bus or train, we’ll save you the hassle of lugging heavy suitcases on your journey. With My Baggage you can send a suitcase or box weighing up to 30kg. Prices start from just £16.99. All you have to do is book online. It takes just a few minutes. Once you’ve booked, we’ll send you labels to print and attach to your luggage. After that we’ll collect your luggage and deliver it to where it needs to go. We provide full online tracking and text and email notifications to keep you updated on the whereabouts of your shipment. Where will my luggage be collected? If you are living in student accommodation, your luggage will be collected between 9am and 6pm, so please make sure it is available during this time. If you live in a house or student flat, your luggage will be collected from your front door. Where will my luggage be delivered? Again, if your luggage is being delivered to your university, it will be delivered between 9am and 6pm on the expected delivery date. If it is being delivered to a house or flat, the driver will come to your front door. Newcastle is a thriving, cosmopolitan area and for that reason, many international students flock to the city and study at the university. My Baggage is extremely useful for international students, as transporting luggage across the world can be expensive and tricky to organise. 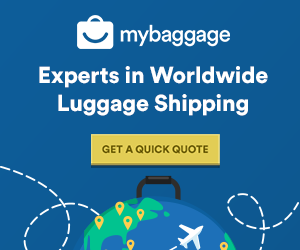 For international students, we offer affordable worldwide luggage delivery to and from over 200 countries worldwide. So if you live outside the UK and need to get your belongings to Newcastle, you can get a quote and book online now. No matter where your luggage is going, you can get a quote from us any time!